The air in Singapore was thick with humidity and the atmosphere with skepticism as President Trump and North Korean Leader Kim Jong Un ended their historic meeting on Tuesday. Trump ignored those questions; if he was hoping that the joint statement he and Kim unveiled a few hours later would appease the curiosity of the world, he would be disappointed. That statement promised “complete denuclearization of the Korean Peninsula” and “new relations” between the two countries without detailing anything about what that might entail or how these lofty goals will be achieved. 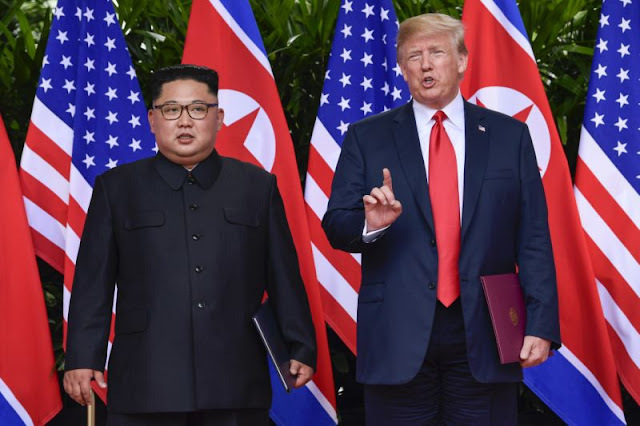 While the joint statement praised the meeting as “an epochal event of great significance” and Trump allies credited the president with a diplomatic masterstroke, some experts on the volatile region had clear misgivings the summit didn’t yield more substantive results. North Korea’s promise to eliminate its nuclear arsenal did not include a commitment to verifiable, irreversible denuclearization the standard enunciated by Secretary of State Mike Pompeo before the meeting nor any explicit agreements about exactly what would be destroyed and how the process could be monitored.